Today's episode is sponsored by Pitney Bowes. Pitney Bowes is the industry leader in mailing and shipping solutions. No matter what you send, or how often, Pitney Bowes has the solution that precisely fits your needs. Pitney Bowes is offering Investing in Real Estate listeners a free trial! Visit pb.com/investing to learn more. If you’re a longtime listener, you know that Natali and I often like to share financial tips and strategies that we are learning on our own journey. At the end of last year, we learned about another ninja trick that helps us save on taxes, lowers our liabilities, and will later allow us to purchase more cash flowing real estate. 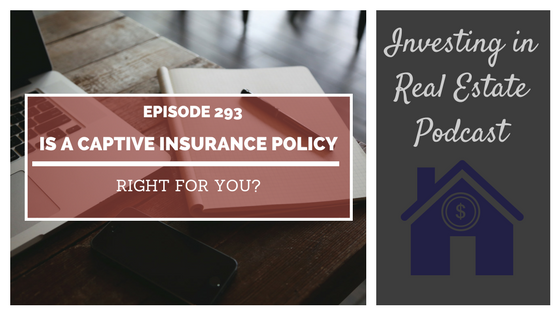 On this episode of Investing in Real Estate, we’re sitting down with Chuck Spitzer of Captive Insurance Group to discuss the ins and outs of captive insurance policies! We’ll talk about the benefits of captive insurance, including what it does and who it’s for. You’ll learn the economic advantages, and how the process works. Chuck is the go-to-guy for captive insurance; you won’t want to miss this episode! At the end of last year, our tax team informed us that our tax rate was going to be sky high, and we needed to find a way to lower our overall taxable income. They presented us with the idea of captive insurance policies, and referred us to Chuck Spitzer from Captive Insurance Group. A captive insurance policy is the creation of a small insurance company in order to insure risk. Chuck explains that while there are certainly incredible tax benefits offered by a captive insurance policy, that cannot be the sole reason to create a captive insurance program. In order to qualify to utilize this strategy, a business must have significant and measurable risk. 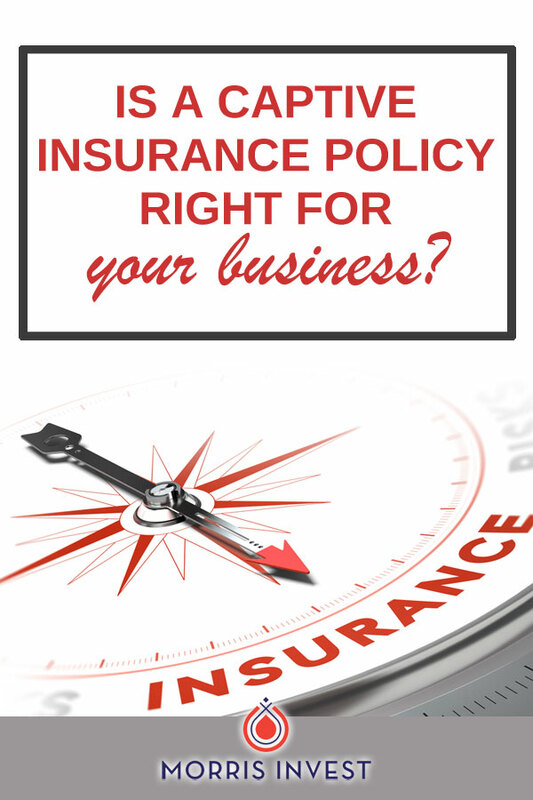 The policies are meant to cover areas in which the business is not properly insured. These risks are typically situations that are otherwise not covered by a traditional insurance company. This can also include insurance exceptions, gaps in coverage, and needs for additional limits. Chuck and his team at Captive Insurance Group use an in-depth process in order to qualify a business. First, they undergo an information gathering process. In this first step, they aim to understand the entities in a business. This initial analysis is done free of charge. Next, they refer the client to an independent actuary firm. The actuary studies the client’s business, and complies a list of things they could be insured for. Then, the client can go through the list provided by the actuary and decide which items they would like to be ensured for. On today’s show, Chuck is walking us through the entirety of the captive insurance process. We’ll discuss what types of businesses typically need a captive insurance policy, and walk through specific examples. Natali and I will also share our experience working with Chuck and his team! What does an actuary firm do? Where do the funds from the insurance premium go? How do you borrow from your captive insurance policy?